Our Big Screen is back this summer to show our favourite sporting tournament, the Wimbledon Championships. 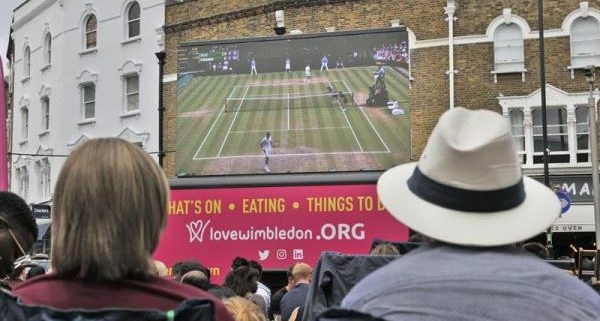 No costs and no queues; pull up a deckchair, grab a bite to eat and soak up the sun whilst watching the world’s tennis giants battle it out on Centre Court. For details to follow closer to the time about delicious free samples and famous appearances!